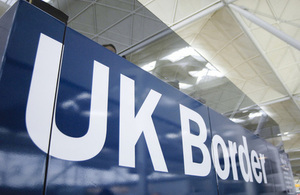 The Independent Chief Inspector of Borders and Immigration yesterday released his report on the Home Office's asylum intake and casework process. You can read the 52-page report here. The Home Office's response to the report is here. The Independent Chief Inspector, David Bolt, notes in the report that processing and deciding asylum claims is a large and important part of the Home Office's work, with each decision it makes being "life changing". According to the report, the vast majority of the staff involved are committed and hard working, but the Home Office still struggles to keep on top of the volumes of claims it receives. The number of claims for the year ending 31 March 2017 was just short of 30,000, down over 5,000 on the previous year, but the number of claims awaiting an initial decision rose during the year, as did the proportion deemed 'non-straightforward' and therefore set outside the published service standard of 6 months for a decision. While the Home Office says the asylum system is "in transition" and improvements are planned, the Independent Chief Inspector found that those plans need to be to accelerated to ensure asylum processing and decision making are brought under control as soon as possible. Otherwise, the next peak in asylum intake, or trough in staffing levels, will see it fall further behind. The report notes that 2016 saw a large number of vacancies of "active" asylum decision makers. The number of decision makers fell from 319 in January 2016 to a low of 228 in July 2016. By March 2017, the number had risen to 352, but new decision makers told inspectors that they had not felt adequately prepared following their initial training, and had relied on the guidance and support from more experienced colleagues and "on the job" learning to develop the necessary skills and knowledge. The report also notes that the Home Office's own internal quality assurance process suggested that improvements to decision quality were needed. Of the decisions sampled for 2016-17, 24% were found to be below "satisfactory". For the Independent Chief Inspector's report, 30 randomly selected case records were examined to assess the quality of decisions, focusing on 2 key factors outlined in the guidance document 'Assessing credibility and refugee status'. Inspectors identified room for improvement in 10 of the cases, In addition, over half of the 30 cases contained examples of poor spelling and grammar. The Independent Chief Inspector's report makes 7 recommendations for improvement, of which the Home Office has accepted 6 in full and 1 in part. In response to the Independent Chief Inspector's report, the Refugee Council's Policy Manager, Judith Dennis, said: "This Inspection has revealed shocking findings with regard to lengthy delays and poor quality decisions. Too much focus on meeting targets with perverse outcomes means that some people seeking protection have to wait unbearably long to hear of their fate. Many of those who can ill afford to be putting their lives on hold, particularly children, have been side-lined for too long. Even more alarming is the rate of incorrect decisions being made; the Home Secretary must sit up and take note of these findings and ensure that no-one is in danger of being sent back to harm as a result of these mistakes."